Here’s how to create and promote content that will get you out of the ignored 75% and into the top 25. How are your personas working for you? More importantly, how did you create them? For a long time, the industry standard was to sit around a table and think really hard about potential customers and what they might be like. In other words, imagination instead of empathy. Projecting instead of listening. Which results in content being created for fictional characters. Great content demands a deep understanding of your potential audience that can only come from data. Dig into keyword research. Comb through your support inbox to see what people are asking. Check your competitor’s content to look for holes you can fill. Ask your current customers, potential customers, and the ones that got away. Social media and technology make it easier than ever to read your customers’ minds. If your content starts with clairvoyance, you’re well on the way to creating something genuinely useful. Once you have that mind-reading-quality data, use it to write content that is essential. By that I mean it has a manifest reason to exist. At this point we usually talk about “adding value” and “being useful.” Both of these concepts are great. But odds are there’s already content out there about your specific topic, bringing the same level of value and utility as yours will. Point of view is the differentiating factor. It’s what you have that every competitor does not. Stir up controversy; speak from authority; show a better way. Don’t be shy about it, either. That’s how to create content worth sharing. Let’s be honest: If it were enough to create essential content based on solid research, the numbers up top would be a lot more favorable. 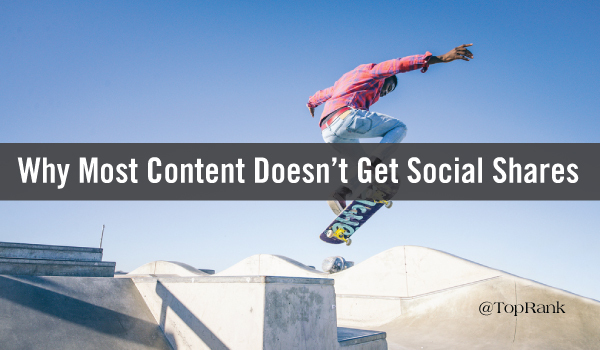 As it is, creating content isn’t even half the battle; it’s more like a quarter of it. The remainder, what turns your content into content marketing, is amplification. Ideally, your content should come with amplification strategy baked in. It has stats you can pull out to make cool social media images. It has an eye-catching visual to compel a click. It includes influencers who are primed and motivated to share. And, most importantly, it has some kind of budget behind it for paid promotion. As our friends (and clients) at LinkedIn Marketing Solutions say, “Organic is good. Paid is better.” Think of it this way: Is it better to reach the audience that happens to come by, or better to reach out and grab the exact people who are going to be most interested in your content? Definitely take all the organic traffic you can get, don’t get me wrong. But don’t rely on it. Use the next-level targeting available on social media to put the content right in front of your best audience. The points above can help your content earn social shares. The next step is to consider the value your content brings in that can’t be measured in likes, retweets, or re-grams (that’s what shares on Instagram are, right?). The post that gets 1800 likes but not a single conversion is not your best post. The post that hits Buzzsumo’s average of 39 shares, but gets 20 people to download an eBook? That’s worth celebrating. Don’t judge all content by the top-of-funnel metrics of traffic and shares. It’s a seriously cool ad. It won awards, justifiably so. It’s a work of art. And it’s sitting at nearly 85 million views. But Volvo didn’t sell 85 million big rigs from this ad. The better number is 1100: That’s the number of commercial truck owners and buyers who saw the video and said they were more likely to choose Volvo. By the right metric, it was a success. The view count was just gravy. 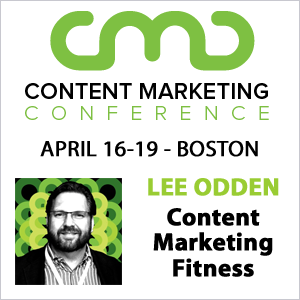 Ready to Create Better Content? Great! We marketers produce approximately eleven hojillion pieces of content a year. And that number’s not going to get any saner in the future. It’s on us to create content that rises above mediocrity. Content that arises from intensive buyer research, presents value with a strong point of view, and is strategically amplified to hit the audience it is written to delight. And it’s on us to measure that content’s impact beyond watching numbers go up on a social share counter. Are you passionate about making content that stands above the rest? TopRank Marketing is hiring. These are some great ways to get your content not only “seen” but also acted upon. I’d love to explore more paid traffic options for the reasons you’ve discussed, too. Are you implying that links and shares are the only way to measure the success of content? I am confused by your overall message. I agree that much content receives little SM love, and a lot of content fails to earn links, but I have created content that had one link that drove conversions and traffic every month for YEARS. Not at all, no. In the last paragraph, I was sure to point out that content’s value goes far beyond social shares. Seriously though – thanks for the tips, really hope to see more on the topic with some good user-cases from you Joshua. Thanks for reading, and I appreciate the comment! Part of LinkedIn Marketing (our client)’s mantra is “Organic is good; paid is better.” Their rationale is with paid, you can target the specific audience that is most valuable for your business.